"RIDDICK" IS BACK! : IT'S ABOUT EFFIN' TIME!!! I was beginning worry that this movie would slip into the "Underverse" and take our bada$$ Riddick with it. The upcoming sequel has had funding problems and rumored issues with paying its crew. However, like the man character Riddick (Vin Diesel) you can't keep a good bad man down! The first two installments "Pitch Black" and "Chronicles of Riddick" were big hits and made this franchise a cult sci-fi fan favorite. There has been many debates on various sci-fi forums comparing these first two films much like the powwow that went on with "Alien" vs "Aliens" and now Prometheus (<----don't get me started ). 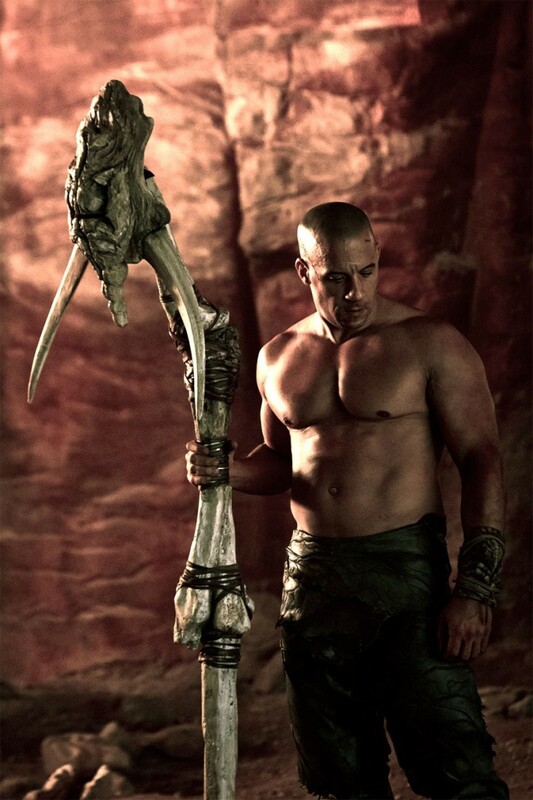 But, suffice-it-to-say "Riddick" will be a welcome addition to the franchise. Vin Diesel has been very vocal on his twitter account about the film project's developments from the start.